Kenny put up another “high tunnel” today in hopes to get his broccoli, cabbage, cauliflower and Chinese cabbage in the ground within the next week or so. His plants are about twice the size of this photo and are ready to either be re-potted again or set out for the season. 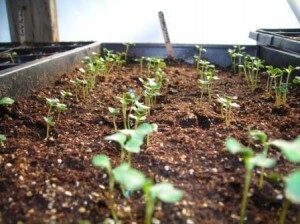 Weather permitting he will get them in the ground soon. Our greens are still looking awesome, our Swiss chard is slow growing but we will have a small amount available. Our kale and spinach is very nice right now as well as our lettuces. A few different varieties will be available. Kenny will be cutting collard greens on Friday as well. P.S. 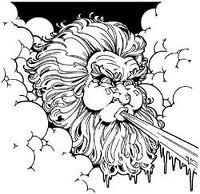 I think old man winter has returned… stay warm and we’ll see you at the “INDOOR” (warm) market Saturday!